This Saddle Maker’s Daughter weaves together her unique humor and storytelling skills to share Western Wit and Wisdom for the Workplace™. She’s helped businesses, nonprofits, schools, government agencies and associations saddle up for legendary leadership, communications, and customer service. Jeri Mae has been invited to speak in 39 states, Canada, and the US Virgin Islands. Each year over half of her presentations are “return engagements” with delighted customers. Her resume includes successful experience as an manager, salesperson, state-wide training program administrator, college workforce training director and college instructor. Jeri Mae has served as president of “almost every organization I’ve belonged to since Lively Livestock 4-H.” She is a Past-President of the National Speaker’s Association’s Mountain West Chapter serving professional speakers in Idaho, Utah, Montana, and Wyoming. She has also served as president of her local Chamber of Commerce, Faculty Senate, Convention and Visitor Bureau, Society of Human Resource Managers, and National Speakers Association. She now serves on the Boards of the National Speakers Association DC Chapter and the DC Metro Association for Talent Development. For sixteen years, Jeri Mae instructed Small Business Entrepreneurship, Human Resource Management, and Hospitality Management at Flathead Valley Community College in Kalispell, Montana. She is a Certified Instructor for the Montana Department of Commerce NxLeveL Entrepreneurship Course, Travel Montana Superhost Customer Service Training, and for the American Hotel and Lodging Association in both Management and Marketing. In addition to her teaching duties at Flathead Valley Community College, she served as the college’s Workforce Training Director and Statewide Coordinator for Travel Montana’s Superhost Customer Service Seminar program. 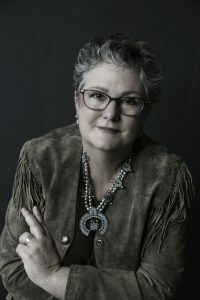 Jeri Mae has received regional, state, and national recognition for her success as a leader and educator, including Montana’s Glacier Country Person of the Year, Montana State SHRM “Above and Beyond Award,” and the prestigious “Visiting Scholar Award” from the National Tourism Foundation.